This story originally appeared on the London Free Press. The number of needles handed out to drug addicts and patients in London — second only to Vancouver among Canadian cities — has jumped by 60 per cent in the last three years, data obtained by the Free Press reveals. 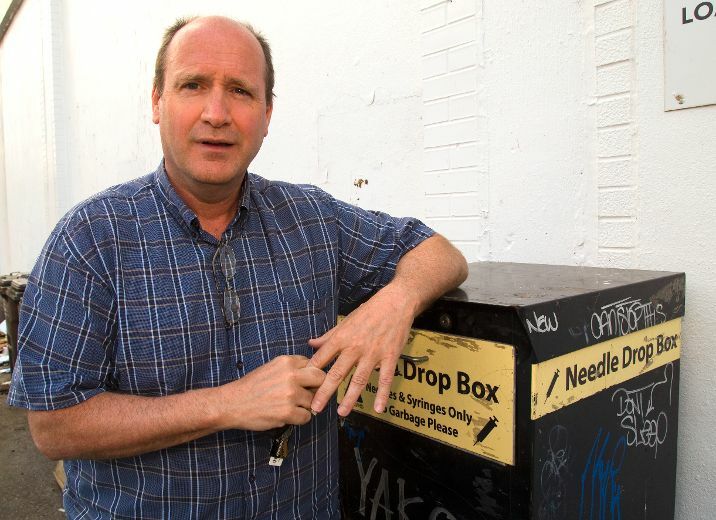 In 2014, more than 2.5 million needles were distributed in the community, making the needle distribution program the second largest in Canada after Vancouver’s, a health official says. Though the agency that distributes the needles at shelters and other places says they reduce the transmission of blood-borne infections such as hepatitis C among drug users, some are concerned about needles that are discarded in parks and other public places. The data obtained from the Regional HIV/AIDS Connection shows a steady annual increase in the amount of needles handed out, in part because it’s expanded the distribution program but also because there’s a high demand in the city. Brian Lester, executive director of Regional HIV/AIDS Connection. “There’s a demand out there that we’re responding to. It’s a public health response,” said Brian Lester, executive director of Regional HIV/AIDS Connection. The Middlesex-London Health Unit says the HIV rate in Londoners who inject drugs is 5.5 per cent, half the national average. But almost 80 per cent of them tested positive for hepatitis C, which is higher than the national average of 68 per cent. By expanding the needle program that serves roughly 3,000 to 4,000 clients, Regional HIV/AIDS Connection is trying to reduce the number of infections. It’s difficult to estimate the average number of needles used a day by clients because it depends on several factors such as the drug used and drug availability, but it can range from one to 30 needles a day. The large number of people using drugs is mostly due to deep-routed traumas and prior physical abuse and sexual violence that haunts addicts, Lester said. 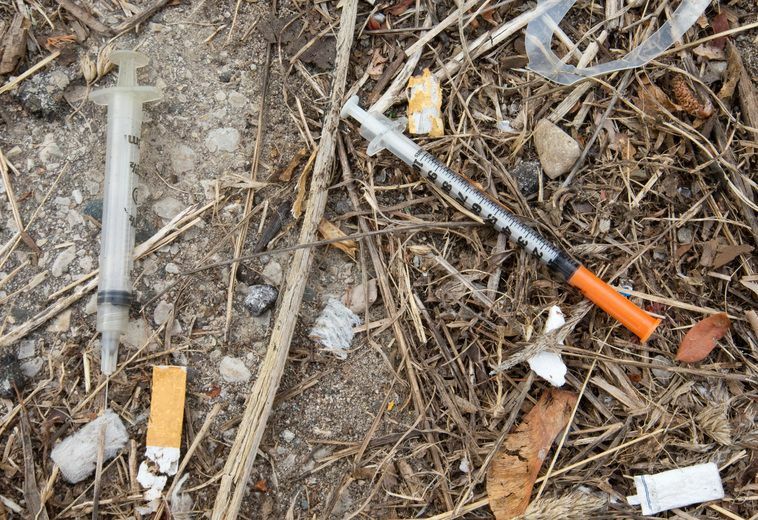 Based on the data, roughly 30 per cent of the needles distributed end up in public places, where London Cares, a city funded project, regularly does sweeps and responds to disposal requests 24/7. Cherie Emms is a mother who has found discarded needles in a park and near a sidewalk in her Old East neighbourhood. But the needles don’t pose a public threat, said Dr. Christopher Mackie, medical officer of health for London and Middlesex County. He said he understands that some needles do end up in places they shouldn’t but said London has a serious drug problem. The city has 17 safe disposal bins and is looking to place more in the hot spots. “We’re working to install bins in strategic locations,” said Jan Richardson, manager of homeless prevention for the city. Citizens can help by calling London Cares when they find needles, she said, promising an immediate response. The most common drugs injected in the community are crystal meth, hydromorphone and Ritalin, said Sonja Burke, director of counterpoint harm reduction services at Regional HIV/AIDS Connection. No one will get HIV by using new needles, sterile water and alcohol swabs, she explained; the transmitting of infections could happen when people share needles in unsafe environments like the urine-soaked alleyways of London. “Our goal is to help people to go into their journey to maybe stop using drugs, but we will never get there if we don’t connect with them somehow. And that means that they may be in the throes of addiction.” Burke said.